I decided to indulge them one week and each let them pick a recipe to serve in their restaurant. We shopped together for ingredients – and the grocery store with the tiny carts, since they were all about doing it themselves, and then they each helped make what they’d decided on. These adorable cupcakes were Julie’s pick. Girl after my own heart. These little indulgences were delicious – and perfectly festive for the upcoming Valentine holiday. We stuck with raspberry this time, but I also think they’d be awesome with strawberry jelly and strawberries on top! 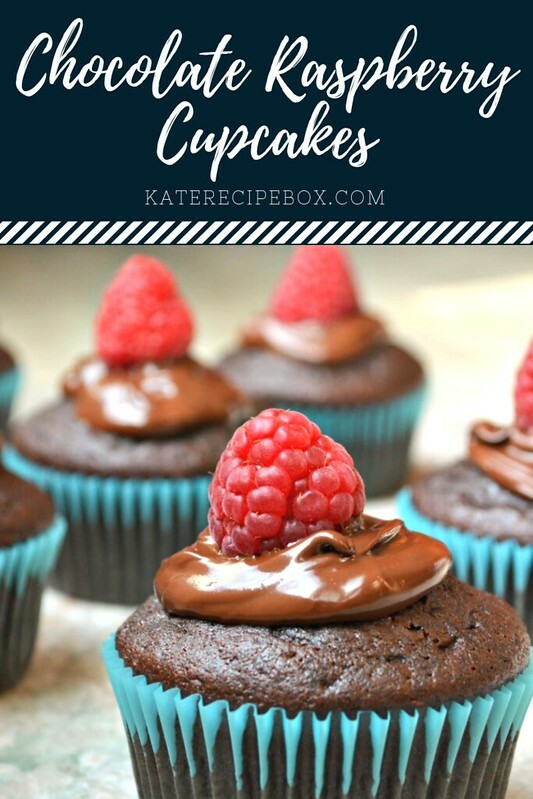 Preheat the oven to 350 and line a cupcake pan with cupcake liners. In a large bowl, whisk together the flour, sugar, cocoa powder, baking soda, and salt until well combined. In a medium bowl, whisk together the eggs and yogurt until well combined. Whisk in the water, oil, and vanilla until well combined. Add the wet ingredients to the dry, and stir until just combined. Add the batter to the prepared pan, filling each well about 2/3 full. Bake for 18-20 minutes, until a knife inserted comes out clean. Cool completely. Cut a small cylinder into the top of each cupcake (an apple corer works great for this! ), and spoon 1/2 – 1 tsp. of jam into the well. Replace the cut out piece. Place the chocolate chips in a small microwave-safe bowl. Microwave on half power in 30 second intervals until melted, stirring well after each 30 second time. 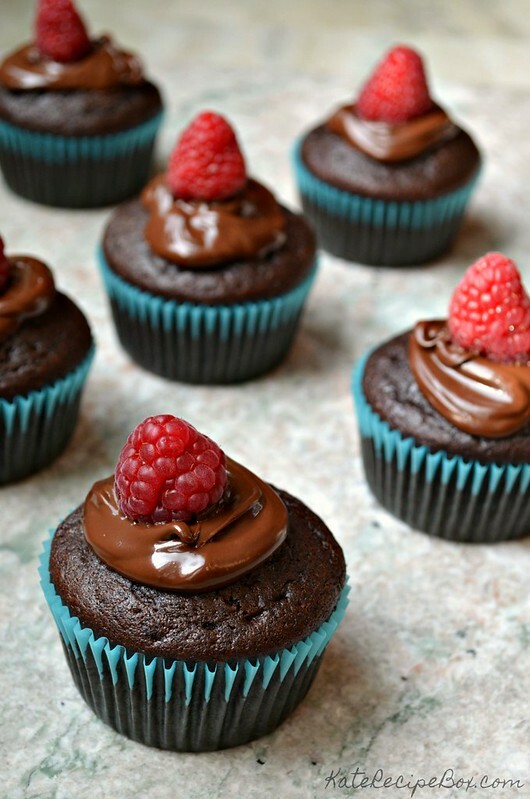 Dollop the melted chocolate onto the top of the cupcakes, and place a raspberry on top. adapted from Sesame Street Let’s Cook!